I have a very extensive broadcasting & music back round. with over 30 years experience. 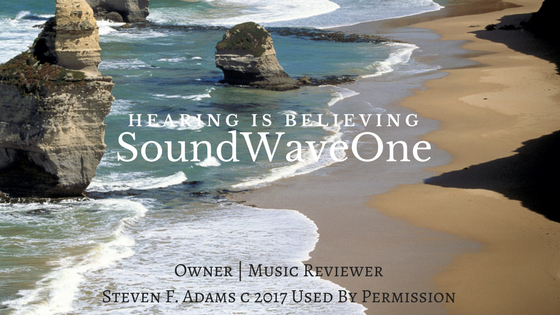 I started a writing career, with the idea bringing notice to the industry, writing about individuals, from all around the globe, all genres and remaining consistent with my slogan of "Hearing is Believing", and bringing out the "positive" in all artists no matter how small, big or different. I feel all need to be given that chance to be noticed for their talents and allow others to hear, and be exposed to their craft. As of date I have written well over 180 music album reviews and continue to acquire more everyday. Some legends, some independent artists, but all in all my wish is they get the to share the stage lights within the industry and with my "Positive " music posts through my writing about them and reviewing their album always in a "Positive" forum. Sherma Andrews with her album called “Guilty” from 2010. What a royal treat for the ears. Amazing and incredible. The first track called “Run” and what a gorgeous voice. The song is so amazing and Sherma kicks in her incredible voice that oozes beauty. The next song is called “Something ‘Bout The Way You Love Me” and once again Sherma arrives with a boom and that incredible vocal range that is amazing and sounds wonderful. With all this complete goodness, Sherma Andrews has that amazing and almost enchanting voice that carries you away with her as she sings her songs. Track three a song called “You’ll Never Know” has a sound that is unmatched and Sherma nails the notes to the “T’ with a capitol “S” Sheez. As I listened further to the album and the song called “Lost” Sherma just continued to amaze me and keep my ears wide open for pure beauty and complete procession of her vocals all the way to the end. Sherma has a voice of all the legends and throughout this miraculous album she brings a little of each in every song. A great example of this is the next song called “Here” and I can here so much of the legendary ladies in her style and really love this song. A love ballad that keeps you glued to your speakers. “The next song must be a song that was inspired by Sherma’s father as I can feel the passion and the major conviction in the lyrics. Her arranging and production values that are just amazing and beautiful. “Insane” another example of beauty coupled with purity and that ability to bring your ears and body into the music. “Rain’ another song that carries you through Sherma and her pure honesty & simplistic way of singing and interpreting the music. It arrives from her tremendous writing capabilities and arrives from her heart. “Guilty” another amazing beautiful and smoothly polished to perfection song that Sherma allows you to really hear and absorb her ability to convey her message through her tremendous and marvelous vocal ability and songwriting. “Talk to Me” Sherma takes on a hint of the late legendary singer & songwriter Donna Summer’ but remains within her own styling that adds a element of total vulnerability to her beautiful vocals. Sherma carries her emotions with the song called “Looking For Something” and really makes her statement come alive within this song. She shows heart, and true pureness and incredible vocal diversity and the song once again brings you along for the ride and kept my ears entertained throughout. On the last song “I will Love You In This Song’ Sherma has an almost Barbara Streisand feel to it, but has a style that remains to be who Sherma is as a singer and a songwriter and an amazing and incredible vocalist. Sherma has that sound that brings in the immediate appeal in an almost Whitney Houston approach, however Sherma is the real deal, and has a style of her own that brought me to her level, where in every song on this album was an incredible, and most entertaining. I would like to thank Sherma Andrews for taking through this musical journey that brought me through her perspective on what matters to her, and filled my heart with joy. I look forward to hearing her amazing vocal arrangements and incredible voice on the radio soon. THE AMAZING TALENT IS OUT THERE, THAT IS IF YOU SEEK, YE SHALL FIND. THE BAND CALLED NICK SWAN BAND WHICH FEATURES DOUG ‘MUG” SWANSON,NICK SWAN AND RORY FACIANE.THE ALBUM IS CALLED “Sink Or Swim. THE ALBUM STARTS OUT WITH THE PROVERBIAL PUNCH TO THE GUT WITH THE SONG CALLED “LOADED GUN” AND WOW!! WHAT A PUNCH, I FELT IT BEFORE IT EVEN HIT ME. THE BAND HAS A HARD EDGY SOUND AND IS CHALKED WITH FULL FLAVOR AND ROCK HARD SOLID SONG WRITING. THE NEXT SONG CALLED “ANOTHER ALSO-RAN” HAS A BEAT AND THE SONG HAS A TRUE ROCK FEELING TO IT AND IS CATCHY AND BRINGS IN THAT ROCK BEAT THAT PUNCHES THE GUT. “ON A MOUNTAIN” THE NEXT SONG ON THIS ASSORTMENT BRINGS IN THE GUITAR RIPS OF LEAD GUITARIST NICK SWAN AND THE SOUND HAS AN ECHO “ISH’ KIND OF RIPPING INTO THE GUITAR THAT IS BOTH ORIGINAL AND NICE OT HEAR. NICK HAS A RASPY KIND OF VOCAL RANGE THAT TRULY MATCHES THE BANDS DRIVING FORCE AND IS REALLY ENJOYABLE.IF YOU LIKE THE GOOD FEELINGS OF A GOOD OLD ROCK AND ROLL SOUND THAN LOOK NO FURTHER THAN THE NICK SWAN BAND, THE ALBUM S.O.S. (SINK OR SWIM). WITH THIS SONG ENDING COLD AND WITH THE TRANSITION TO THE SONG CALLED “FUTURE BLUES” THE BAND CONTINUES WITH THE ROCK BEAT OF RORY FACIANE AND FOLLOWED UP WITH THE BASS AND SMOOTHNESS OF DOUG “MUG” SWANSON ON BASS KEEP MOMENTUM MOVING FORWARD. THE MUSIC THE NICK SWAN BAND HAS A EDGY BUT REFINED SOUND THROUGHOUT. “SPACE BLUES” ACTUALLY HAS A SOUND OF “SPACE BLUES” AND THE RIFS OF GUITAR ADD THAT REAL FEEL OF FUTURE BLUES AND REVERBERATES THROUGH YOUR EARS AS YOUR EARS ARE ENTERTAINED. “VCR’ ANOTHER ADDED RIP ROARIN’ AND READY TO BE PLAYED ON THE RADIO SONG THAT HAS A STEADY BUT CATCHY AND HAS A GOOD RHTYHM TO IT THAT ADDS FLARE AND FANCY FRET WORK THAT IS CONTAGIOUS IN AN ALMOST U2 ISH IN SOUNDING FROM THE EARLY EIGHTIES. THE NEXT SONG CALLED SOS (SINK OR SWIM) ADDS AN ELEMENT OF BLUES AND NICK SWAN LENDS HIS RASPY EDGED VOCALS AND MAKES THE SONG REMAIN RELEVANT AND FRESH AND TRULY FEELS NICE TO HEAR A BAND THAT HAS A ROCK SOUND AND HAS SUBSTANCE WITHIN THEIR LYRICS AND SONGWRITING ABILITIES. THE NEXT SONG CALLED “ATLANTIC CITY” A SONG RELEASED FROM ROCK AND ROLL ICON BRUCE SPRINGSTEEN ON HIS 1982 RELEASE “NEBRASKA” AND IS TO THIS DAY ONE OF MY ALL TIME FAVORITE ALBUMS, AND NICK SWAN AND HIS BAND ADD LIFE TO THIS AMAZINGLY WRITTEN SONG AND SERVE BRUCE AN AMAZING CUP OF MUSICAL JUSTICE. “SMOKESTACK LIGHTNING” THE BAND KEEP THE ROCK AND ROLL FEELING ROLLING THROUGH YOUR BONES AND HTE SONG HAS A FEELING THAT HAS THE WAILING AND THE FANCY RIFFS ROLLING THROUGH IT AND HAS AN ELEMENT OF TRUE MUSICIANSHIP AND I LIKED THE SONG ALOT. THE SONG HAS A TRUE BLUESY FEEL TO IT BUT ROCK AND ROLL REMAINS WITHIN THE SONG. THE NEXT SONG CALLED “VICTORY” KEEPS THAT PROVERBIAL PUNCH TO YOUR EARS AND HAS AN ALMOST GRUNGY DISTORTED FEEL TO IT, AND THE SONG SHARES THE WAH WAH WITH NICK AND HIS GUITAR WORK. THE LYRICS HAVE MEANING AND KEEPS ONE ENTERTAINED CONSISTENTLY THROUGHOUT THIS AMAZING AND MOST ENJOYABLE ROCK ALBUM. THE LAST SONG ON THIS ALBUM IS CALLED “SUICIDE DIVE” AND HAS A REAL GREAT FEEL TO IT, THE SONG HAS AN EDGY, BLUES, ROCK AND GRUNGE FEEL TO IT BUT HAS A SOUND THAT IS NEEDED TO BE HEARD. AS A WRITER AND TRUE SUPPORTER OF ALL MUSIC, THE NICK SWAN BAND HAS A SOUND THAT ROCKS, IT ROLLS AND PLAYS OUT THE BLUES FOR YOU AND KEPT ME ENTERTAINED THROUGHOUT AND ANXIOUS TO HEAR THEIR AMAZING AND WONDERFUL GIFT OF MUSIC. WITH A MUISC ALBUM LIKE THIS, IN MY EARS WOULD BE A MUISC PROGRAMMERS DREAM COME TRUE. MY MANY MANY THANK YOU’S TO DOUG “MUG” SWANSON FOR HIS ETERNAL FRIENDSHIP AND FOR THE KIND INTRODUCTION TO NICK SWAN AND RORY FACIANE AND THE NICK SWAN BAND AND THE TOTALLY SUPERB SOUNDS OF THEIR ALBUM CALLED (S) SINK (O) OR (S) SWIM. I LOOK FORWARD TO HEARING AND OR SEEING THE NICK SWAN BAND EITHER ON THE RADIO OR IN A SHOW AND WISH THEM ALL THE LUCK IN THEIR AMAZING FUTURE OF MUSIC.